James L. Estep was named President and Chief Executive Officer of the High Technology Foundation at the June 21, 2000, meeting of the High Technology Foundation Board of Directors. Since his appointment as President and CEO, he has led the organization through substantial growth. During Mr. Estep’s tenure, the organization’s asset base has grown from just over $13 million in 2000 to $184 million in 2010, and five subsidiary organizations have been established. Mr. Estep’s efforts have expanded the I-79 Technology Park to 375 acres and 750,000 square feet of Class A office and lab space built as of 2010. The expansion established an office space capacity of over 2.5 million square feet. The growth of the I-79 Technology Park has attracted both government and private tenants alike. These include the National Aeronautics and Space Administration, National Oceanic and Atmospheric Administration, the Department of Defense, FirstEnergy Corp., Northrop Grumman, TASC, ManTech International, Lockheed Martin, and Computer Sciences Corporation. Mr. Estep’s love of technology has led the organization to develop cutting-edge and innovative technologies for its various research and development customers. These include the development of a biometric system to capture face recognition at over 100 meters day and night. It also includes the deployment of over 3,000 of its BOMBOT system around the world. Estep is very active in several business and technology efforts around the state. In February 2007, Estep received a gubernatorial appointment to the Glenville State College Board of Governors. He serves as Chairman of the Mid-Atlantic Aerospace Complex and is a board member for the West Virginia NASA Space Grant Consortium and the West Virginia Roundtable. In the past, he served on the Advisory and Enterprise committee for West Virginia University’s (WVU) College of Engineering and Mineral Resources and as chair for the New Economy Task Force, which is part of the “Vision Shared” statewide economic development strategy plan. He is a past board member for Energy Village, the Marion County Chamber of Commerce, and the West Virginia Chamber of Commerce, where he served as chairman of the Technology Committee. In March 2003, Estep received a gubernatorial appointment to the West Virginia EPSCoR (Experimental Program to Stimulate Competitive Research) Advisory Council for a three-year term. WV EPSCoR is part of a national program created by the National Science Foundation. He has also served as a judge for the Ernst & Young Entrepreneur of the Year Program, the West Virginia Engineering, Science, and Technology Scholarship Program, and the Research Challenge Grant Program. 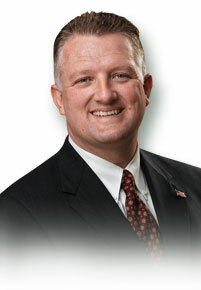 In June 2005, Estep received a Congressional Achievement Award presented by Congressman Alan B. Mollohan, U.S. House of Representatives, First District, West Virginia. Estep pursued graduate studies at WVU where, in 1993, he received a master’s degree in computer science. He is also a graduate of the West Virginia University Institute of Technology (WVU Tech) where, in 1989, he received a bachelor’s degree in computer science. While at WVU Tech, Estep was very active in student government and served as student body president from 1988 to 1989. In 1986, he was awarded a military science scholarship from the United States Army and, upon graduation from WVU Tech in 1989, went on active duty with the Army as a commissioned officer. In 1992, he joined Unisys Corporation as a software engineer. While at Unisys, he participated in a variety of engineering areas including research and development of domain specific, architecture-centric software reuse methodologies. A native of Braxton County, he currently resides in Morgantown with his wife, Melissa. They have three children: Adam, Catie, and Jacob.